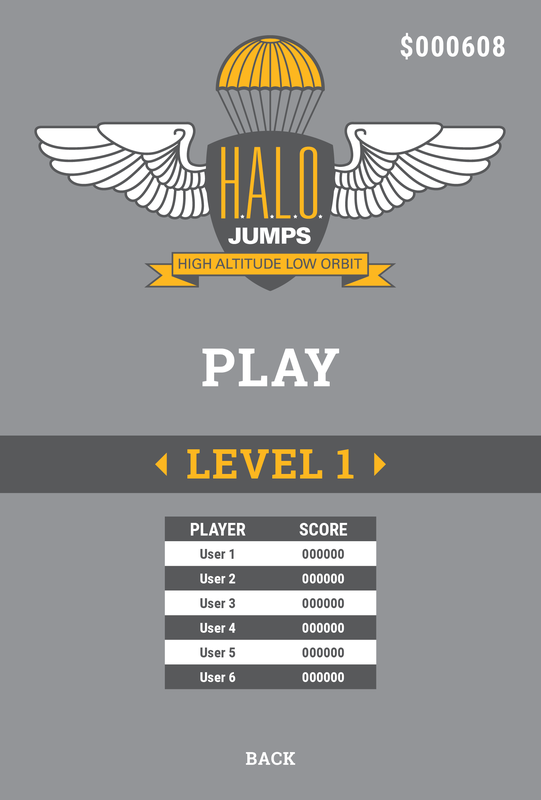 Halo Jumps is Zugalu's first release into the mobile gaming world. You can download it from the Apple Store and Google Play now! But be careful, it’s too addictive. 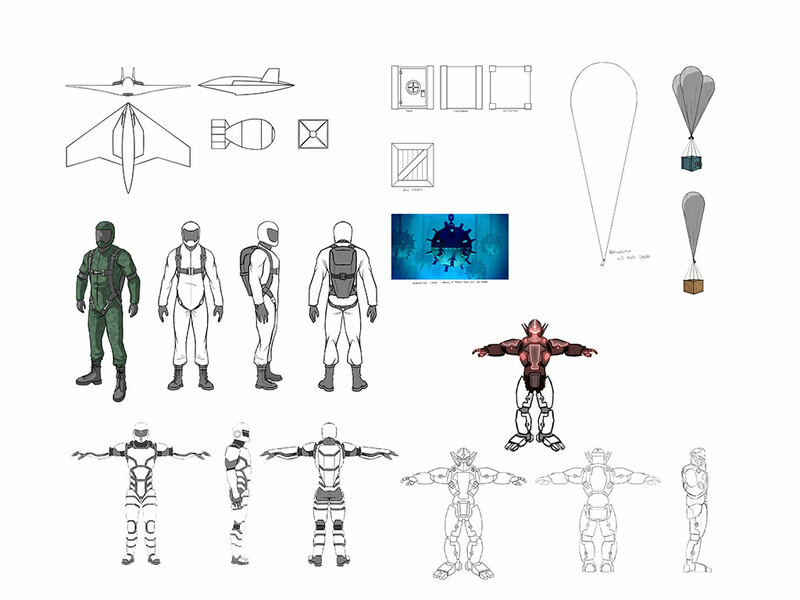 Our character designs have come a long way since we first started development. We have six different characters to choose from now all with a unique look and play style. 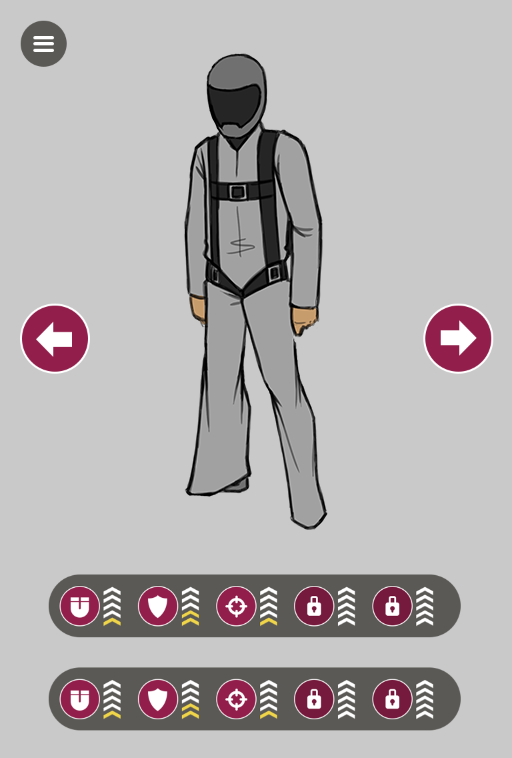 Each character now has multiple action poses when falling to show off our new suits and give a lifelike feel to each. The UI has made a big difference on how the game looks and feels. It gives user the first impression on if the game is going to be good and what type of game it is going to be. 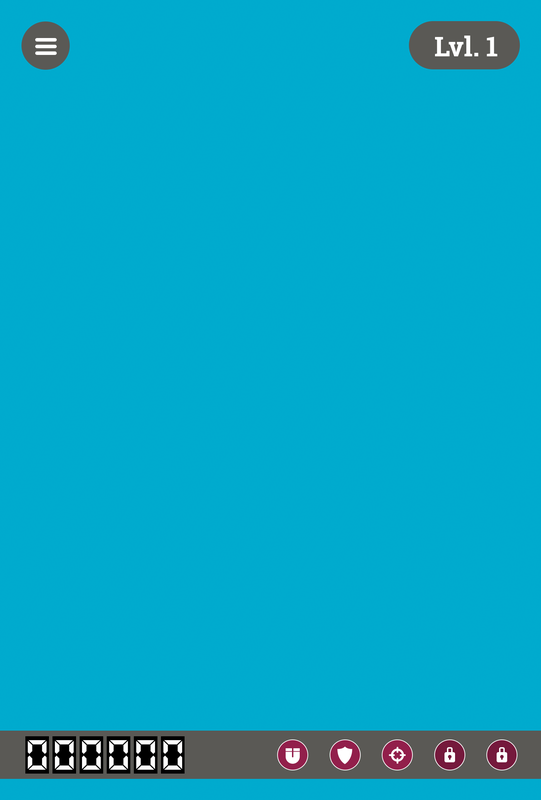 The UI, along with our utility buttons seen here have made a few different transitions since development. The crates collected during gameplay went through a few different variations before we got to our final design choice. 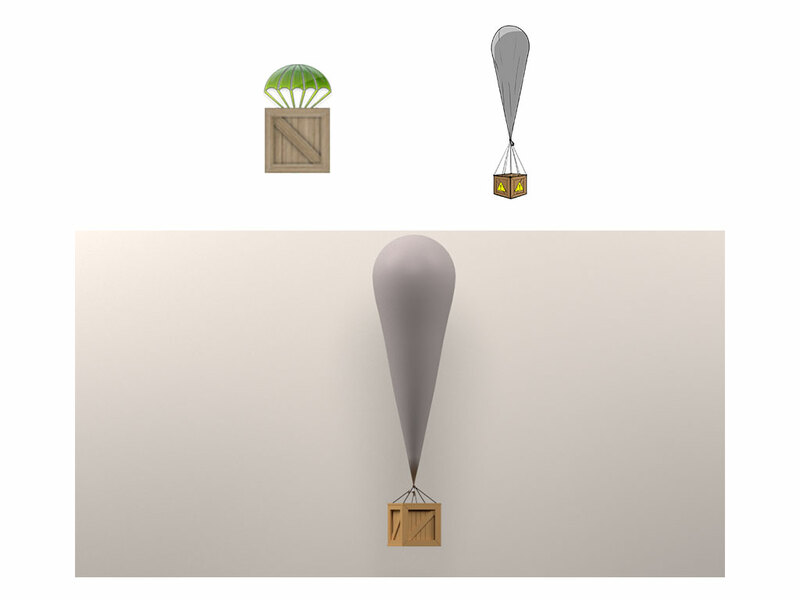 We even went with dollar signs with parachutes on them before the crate idea even came to be. We now have multiple different types of objects you can collect during gameplay. As well as many new enemy designs you have to avoid or destroy. 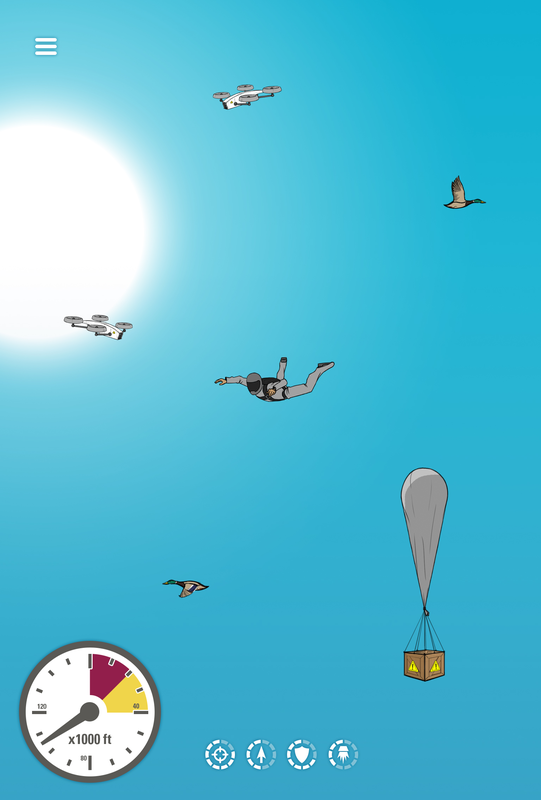 The parachute is a main component to the game. If it doesn’t open, you won’t survive. It has gone from saving a stickman to being able to inflate and expand for each character. 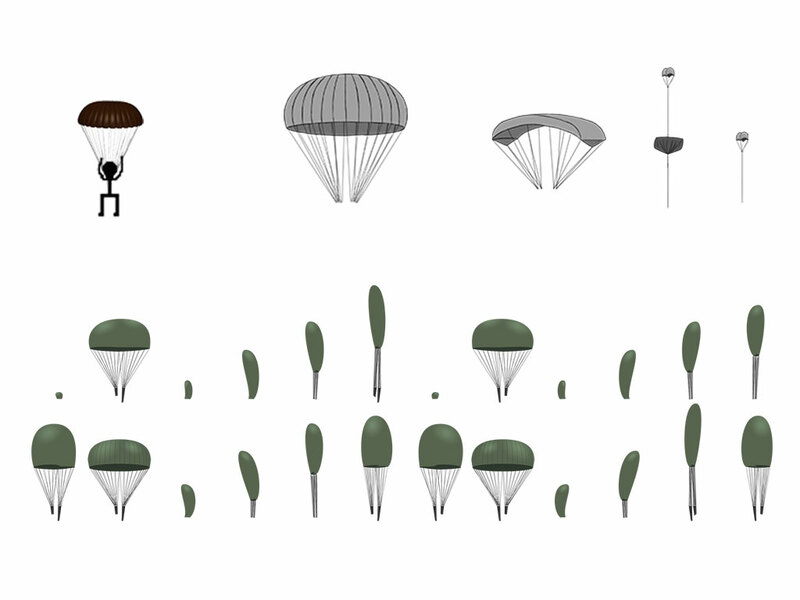 Flat stickman style image seen here, now with multiple sprites to visually show an animation of the parachute opening. 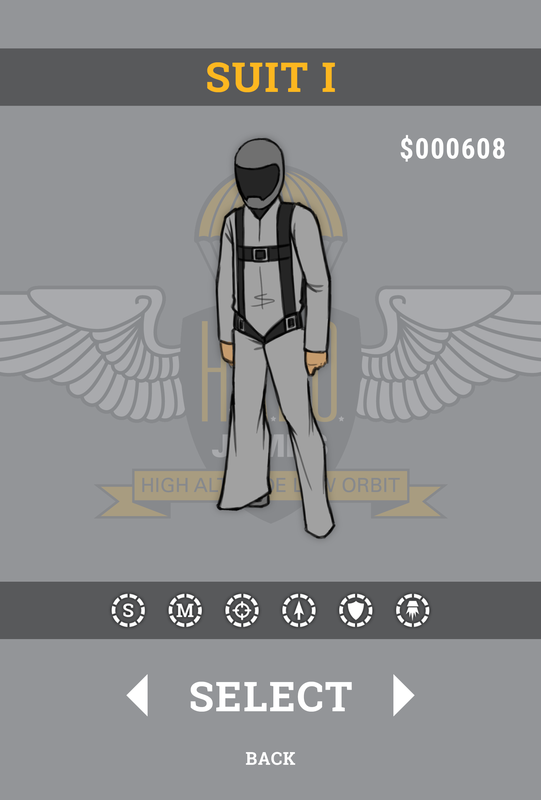 We also now have a different parachute skin for each character. Our backgrounds have gone from simple to dynamic. Making the backgrounds more detailed can only help with the feeling of falling and bring you into the character of a HALO. 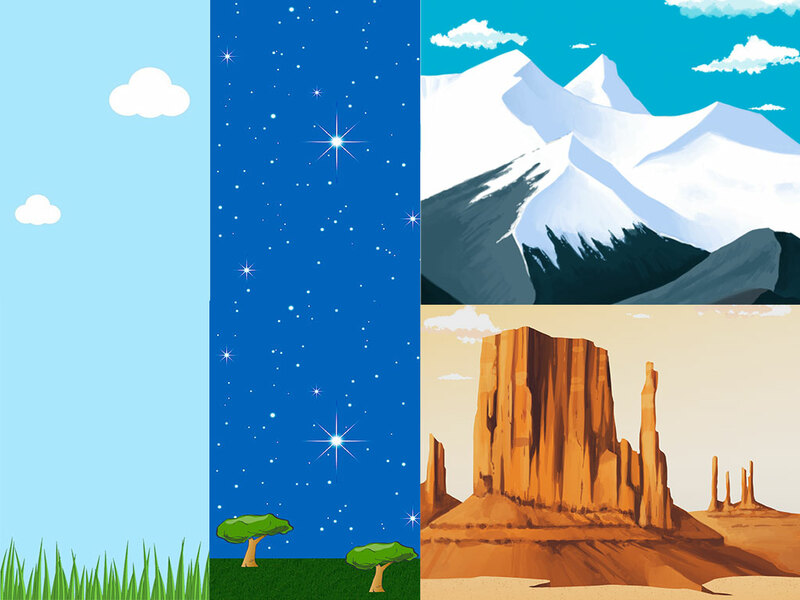 We now have three beautifully stunning backgrounds and plan on having three more before released. Our banners for the pop expo in Ottawa were we had some great feedback and were approached by a game publisher to create a new game for them, it's being released in 2017. Main Menu: Have begun updating all UI to be more consistent and defined with regards to the games “look”. Refined menu items and spacing. 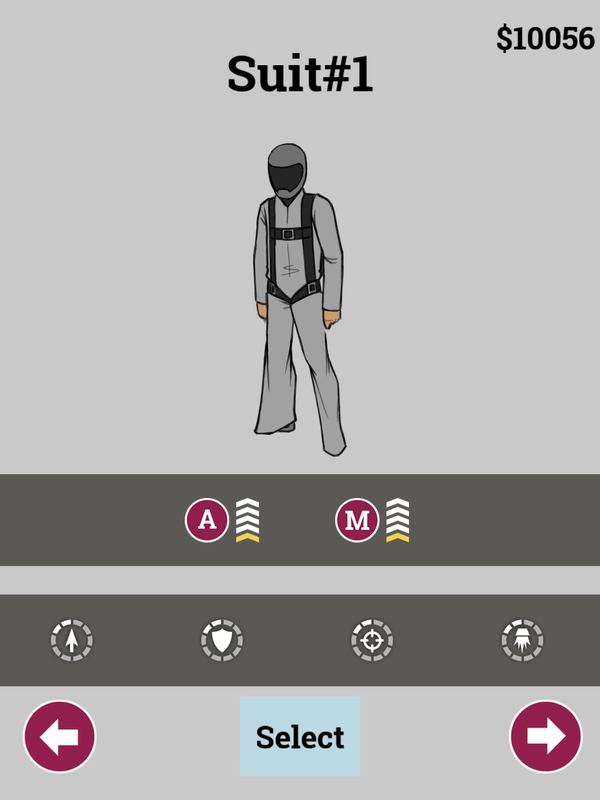 Level Select: Have begun updating all UI to be more consistent and defined with regards to the games “look”. 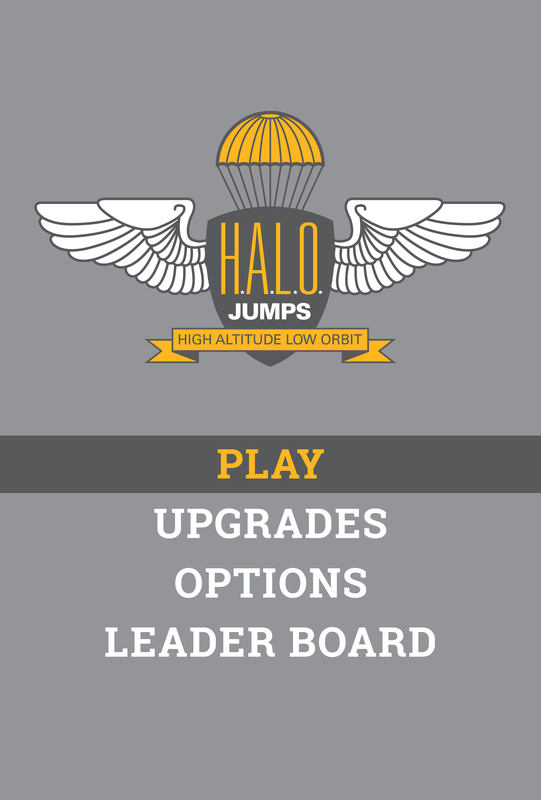 Playing with the idea of having each levels individual leaderboard display before you select or just your high score. Inventory: Applied the same design treatments to the abilities as we had on the gameplay screens. We have also refined what abilities are fixed/upgradable – thereby simplifying the UI and allowing for less clutter. 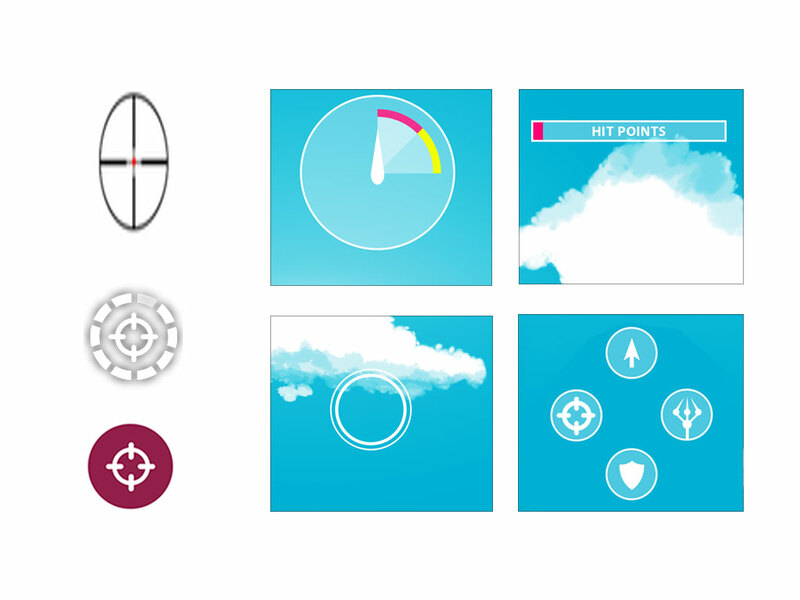 Integrated the level of the ability into the Icon design. First store page added to the game. Users can now purchase upgrades to be used during the levels and buy new suits of armor. First game play with out button controlls, User can now move left and right with mobile gyroscope to move the player on screen freeing up your hands to shoot bad guys and picking up boxes. 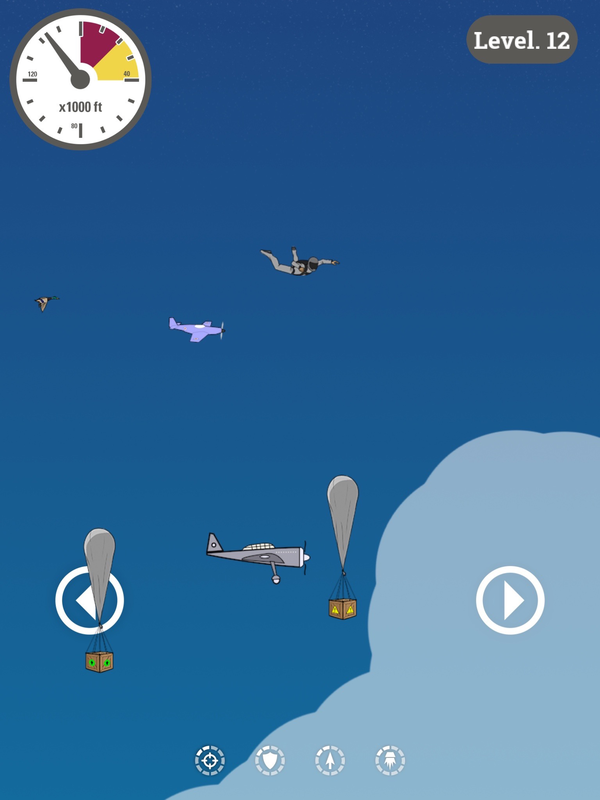 Gameplay: UI evolved to have less clutter around the screen, as well as an active altimeter, instead of a digital countdown. Modified ability icons to show the usage remaining, as well as their availability. Also updated more enemy sprites with places holders close to the final design. 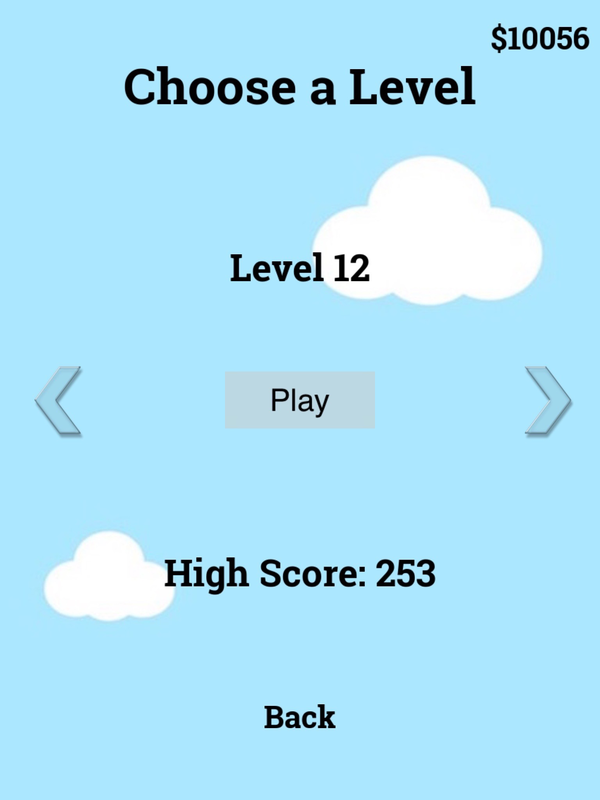 This is Alpha 01 of zugalu's first app game with planed release for January 2016 on apple and android.